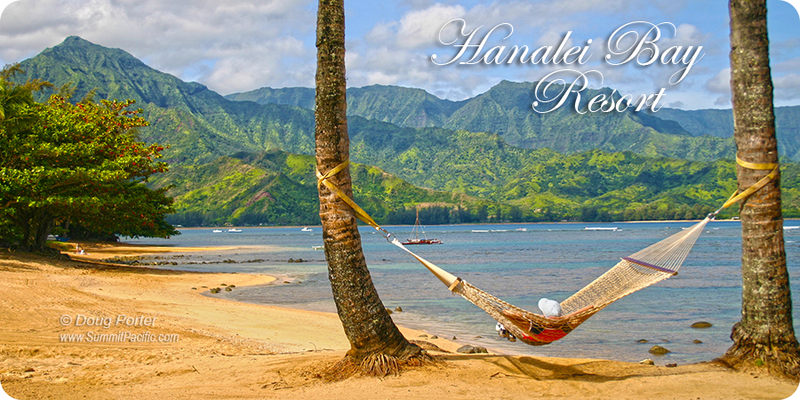 Hanalei Bay Resort unit 7101 is a privately owned, lovingly cared for studio/hotel-room. 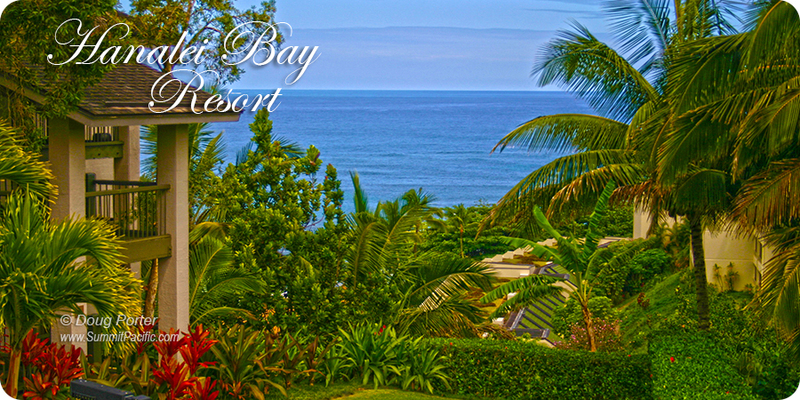 This ground-floor unit features panoramic views over Hanalei Bay from your private walk-out lanai. The condo features a luxurious cal-king bed with teak furniture, and a twin sofa-sleeper which is perfect for an extra guest. Enjoy a "breakfast bar" area with small refrigerator, coffee maker, plates/utensils, and more. You will also find plenty beach equipment, chairs and other equipment such as tennis rackets for you to use during your adventures around the island. 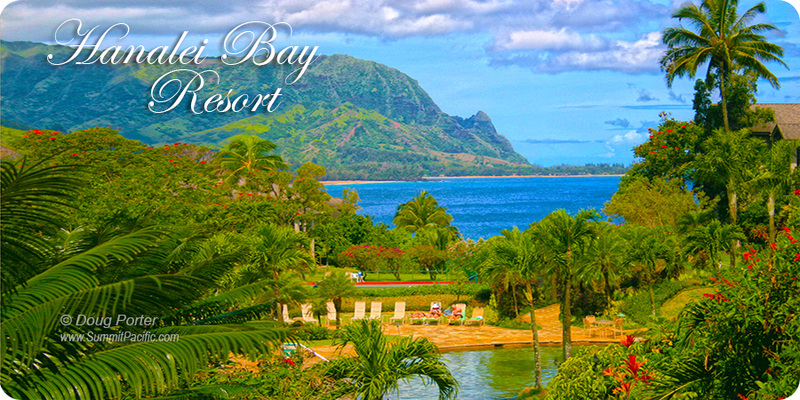 In minutes you will find yourself at Pu'u Poa Beach by traveling down a tropical paved pathway. Both the small round pool with barbecue area and the famous lagoon style pool (one of Fodor's rated Top 10 Resort Pools in the US) are just a short walk away. Tennis enthusiasts will also enjoy 8 courts available for use, as well as a tennis shop with pro on site. 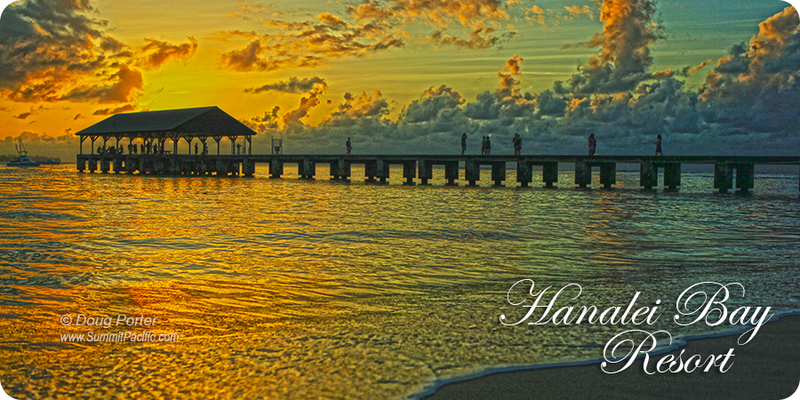 The trip to Hawaii was a last minute plan. Lisa was very helpful and gave us a great deal for our one week stay. Our condo was clean and well-equipped. You will find literally everything you would want during your stay from toiletries to basic food equipment. She had even provided a lot of beach stuff for us to use on our stay. The view from the condo is so beautiful that we have decided to frame a picture of it. The hotel is very easy to access especially if your trip is planned around activities in the north and central part of Kauai. 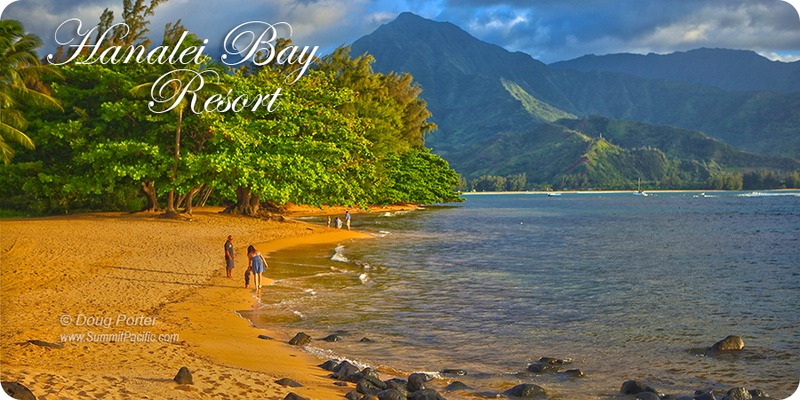 Even though Poipu is the most famous beach in Kauai, we spent most of our time in the Hanalei Bay Beach, the one near Hanalei Cafe and the central part near Kapaa for shopping and restaurants. I would definitely stay here again. 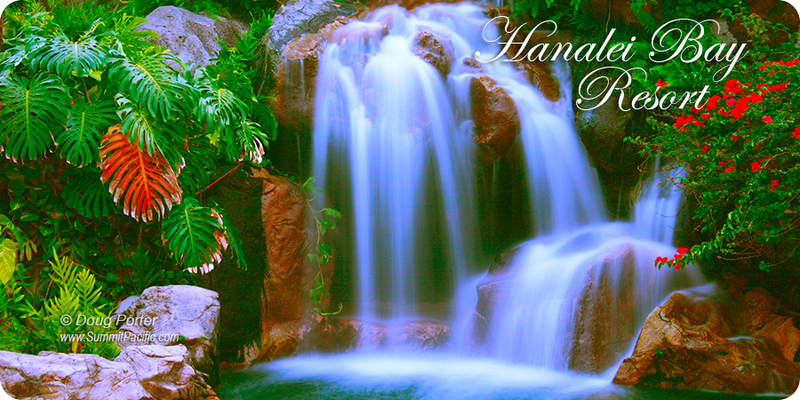 The resort has great staff, an awesome pool, neat condos with breathtaking views. Amazing place - Thanks for the beautiful stay. 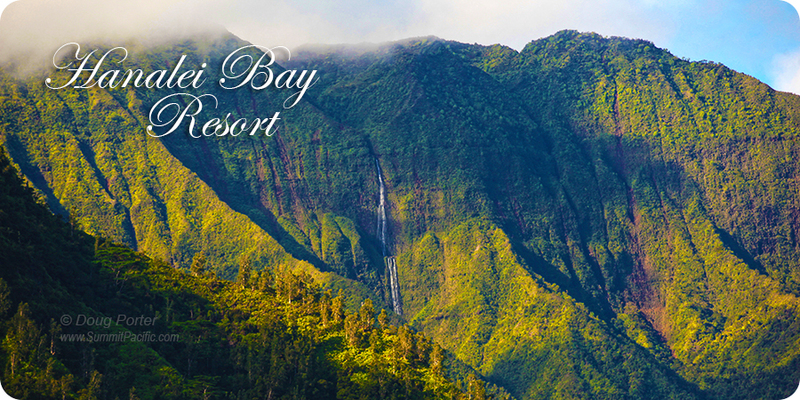 Wonderful location to take in all the activities of the North Shore. Will soon be back! What a perfect 'home away from home!' Everything anyone would need, and so neat, clean, and comfy. Thanks for a lovely stay. I will return and will recommend this place to my friends. The resort + the service here was fabulous. Stunning view! We plan to come back again soon. Thanks for your hospitality, Lisa! 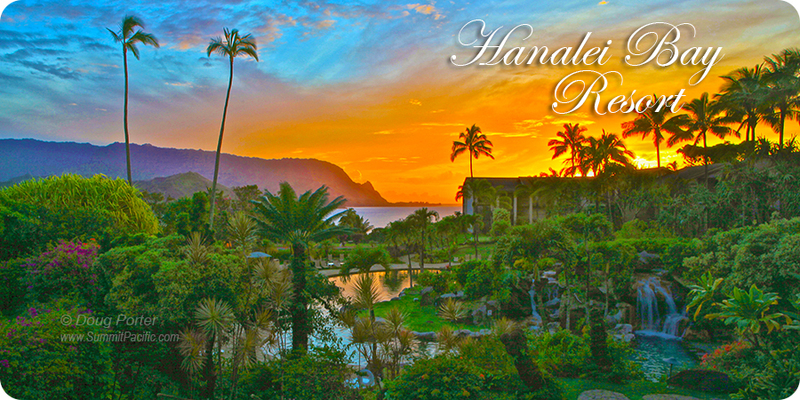 I just wanted to say mahalo for a wonderful stay. We will certainly be returning, and would be pleased to stay in your unit 7101 again! 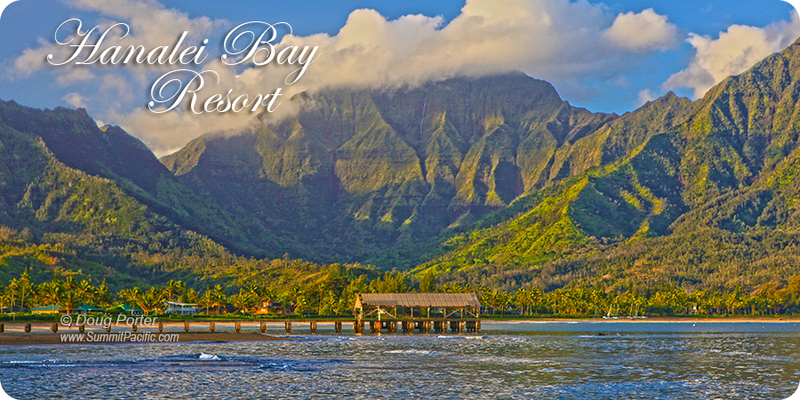 Just a note to tell you how much we enjoyed your condo at Hanalei Bay Resort. Everything was fine including the golf cart service to and from the room. Thanks for the stay in your condo a few weeks back. We had a great time. Hi Lisa, Thank you for the chance to stay in that room. We had a great time running around the island. It's a beautiful place and we would love to go there again sometimes in a future.